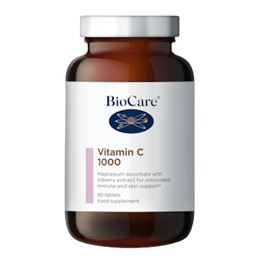 Vitamin C 1000 provides a high potency bio-available source of vitamin C, together with bilberry extract (Vaccinium myrtillus) which provides non-citrus flavonoids. Bilberries are a potent source of antioxidants. 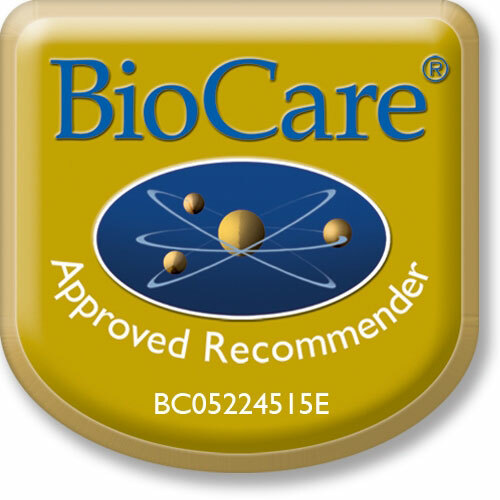 Vitamin C (as Magnesium Ascorbate), Bulking Agents (Dicalcium Phosphate & Microcrystalline Cellulose), Anti-Caking Agents (Silicon Dioxide and Magnesium Stearate), Acacia Gum, Glazing Agents, Potato Maltodextrin, Bilberry Powder, Grapeseed Extract, Stabiliser, Citric Acid. Do not exceed 1 gram daily if taking the contraceptive pill unless professionally directed. 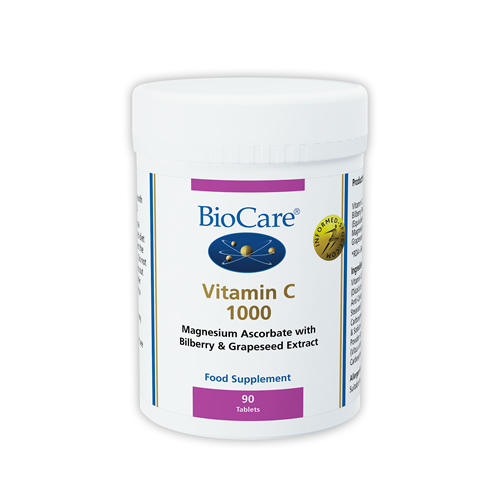 Below are reviews of Vitamin C 1000 - Magnesium Ascorbate - 90 Tablets by bodykind customers. If you have tried this product we'd love to hear what you think so please leave a review. The better vitamin c I have tried. The only bad is that the price last time is more expensive.